Osteoarthritis is the most common long lasting chronic joint disease. A joint where two bones come together and these ends are covered with a protective layer or tissue is known as cartilage. It is a is a protein that acts as a cushion in between the joints. Osteoarthritis results the breakdown of cartilage resulting chronic pain, stiffness and other symptoms. Sometimes osteoarthritis is called degenerative arthritis or wear-and-tear arthritis. OA affecting approx 27 million Americans. OA commonly affects the joints of hip, knees, spine and hands. The prevalence of OA is more frequent before the age of 45 in males. In females it occurs more frequently after age of 55. In United States the male and female both are equally affected. The sign and symptoms vary with the patients. Osteoarthritis is commonly affects the Spine, hips, hands and mostly weight bearing joints. OA develops slowly and grows with the time. Pain in joints: Your joints may damage during movement. Tenderness of joints: Joints may feel tender when you apply light pressure on it. Stiffness of joints: Joint stiffness can be most noticeable when you wake up in the morning. Bony growth (Spurs): Bone spurs, which feel like hard lumps, may form around the affected joint. Clicking or cracking sound when hand or leg joints bend. Mild swelling occurs around the joints. 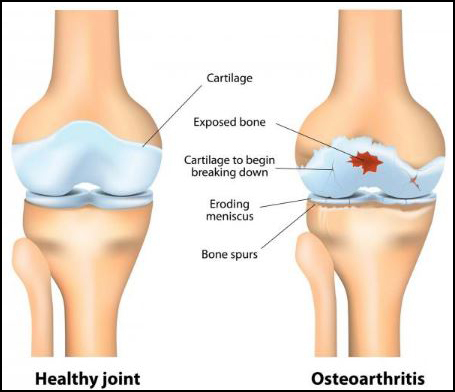 Osteoarthritis caused by joint damage. Idiopathic osteoarthritis i.e. osteoarthritis not occurs from injury or disease, or it is a result of aging of the joints. There are many diagnostic tests for Osteoarthritis; it ruled out after taking medical history and physical examination. Blood tests: Blood tests are usually not helpful in diagnosis. Moreover the following tests are helpful for accurate diagnosis. Joint aspiration: The experts numb the affected area and insert a needle into the joint to take fluid. The collected FNAC sample ruled out the evidence of crystals in the joint. X-RAY: The X-Ray report shows all the deformities of bone joints. MRI: Magnetic resonance imaging (MRI) is more expensive than X-rays, but shows better images of cartilage and other structures. The risk of Osteoarthritis increases with age. Currently there are a number of alternative treatments available for osteoarthritis. Many people who have OA found relief naturally by changing their diets, lifestyles. 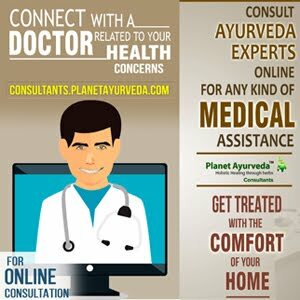 The Ayurvedic treatment gives excellent results when treated at regular intervals with the detox (Panchakarma) and revitalizing therapies combined with internal medications. It is the best remedy for maintaining a healthy weight. Obesity increases your risk of Arthritis because excess weight puts pressure on your joints. Your hips and knees bear most of your body's weight. Physical activity is essential for people who have Osteoarthritis. Exercise programs should include aerobic exercise like walking. Acupuncture helps relieve pain and disability due to arthritis. Omega -3 foods: Everyone needs omega-3 fatty acids in their diet for optimum health. You may get relief from joint pain. Foods high in sulfur: Sulfur contains onions, garlic, asparagus and cabbage. Bone broth: These are antioxidants that help lower inflammation, arthritis and joint pain. According to Ayurveda, Osteoarthritis develops due to imbalance in Vata Dosha in the body. This disorder affects joints, mainly Knees, hips, spine and joints in the hands. The imbalanced Vata dries up the Kapha (Synovial fluid-Shleshak Kapha) in the joints. This disease condition gradually worsens if not properly taken care off. However, Ayurvedic treatment for Osteoarthritis does not cause any side effects and gives longer lasting results. This medicine is one of the most effective that contains calcium rich ingredients and standardized herbs. Dosage: 2 Capsules twice daily with plain water after meal. These capsules are purely vegetarian and rich in mineral such as Phosphorus, magnesium, silica and vitamin D.
Dosage: 1 Capsules twice daily with plain water after meal. Curcumin contains Curcumin longa the pure and standardized extracts. 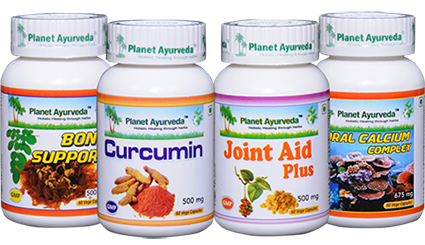 Curcumin is effective in reducing the amount of ama (toxins) in the joints as well as helpful in maintaining a healthy immune system.